The Alava company Optimus 3D brought together numerous representatives of the business and political world of Araba at the opening of its new facilities located in the E5-Leonardo Da Vinci building of the Álava Technology Park. For 5 years, Optimus 3D has grown and consolidated in the facilities of Bic Araba, whom during the inauguration have been thanked for their support during this time in order to become a benchmark in the sector. 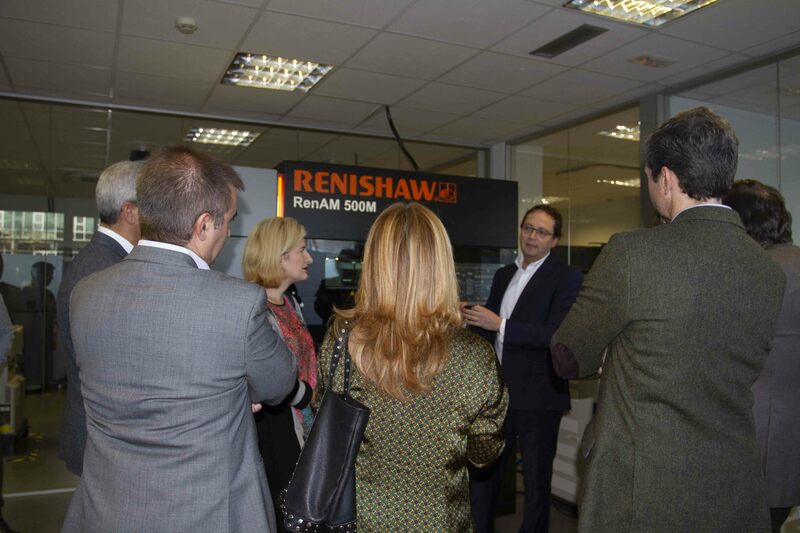 They also wanted to thank the Álava Technology Park for the facilities and help to find the right location for the company's needs. Mention has also been made of the support received from the Diputación de Araba and the City Council of Vitoria-Gasteiz, as well as the financial entities that bet on the project since its inception. "If it can be designed, we can manufacture it"
Optimus 3D is a team of engineers with design capabilities based on additive technologies and state-of-the-art equipment to provide optimal solutions to the needs of each client. They transform the design and manufacture of products, tools or any other element of conventional production, using 3D printing beyond pilot projects and small components, leading to the manufacture of lighter, safer and more efficient structures. They develop prototypes and innovative end products with multiple applications for sectors such as automotive, aeronautics and medicine. In 2018 the internationalization of the company began with great success in the French market. Today more than 200 clients have trusted Optimus 3D; Osakidetza, Aernnova, Mercedes Benz, BTI, etc.